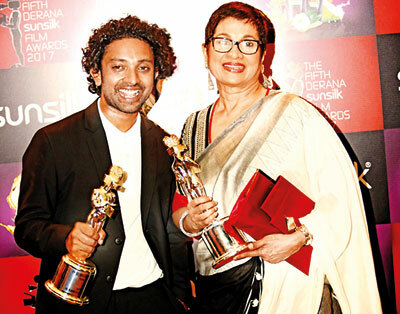 Internationally renowned filmmaker Asoka Handagama won the Best Screenplay and the Best Picture awards for his Let Her Cry (Ege Esa Aga) at the recently held Fifth Derana Sunsilk Film Awards. 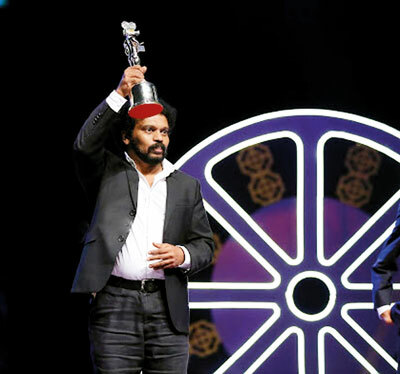 While veteran Asoka won the Best Picture award, the Best Director was won by young new director Sameera Rangana Naotunna for his maiden film Motor Bicycle. In a similar move experienced star Swarna Mallawarachchi was named as the Best Actress while new up and coming Dasun Pathirana was adjudged Best Actor. Among the other winners were, Best Upcoming Actress – Rithika Kodithuwakku, Best Actor in Supporting Role – Gayan Wickramathilaka, Best Actress in Supporting Role – Aruni Rajapaksha, Cinema of Tomorrow – Malaka Dewapriya, Special Jury Award – Samanalee Fonseka and Sunsilk Shine Award – Udari Warnakulasuriya, Best Actor / Actress in a Negative Role – Pubudu Chaturanga and Best Actor / Actress in a Comedy Role – Sarath Kothalawala. The Most Popular Actress award of Derana Sunsilk Film Awards 2017 was won by Puja Umashankar while the Most Popular Actor was won by Ranjan Ramanayaka.